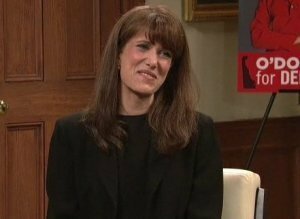 “Saturday Night Live” opened its show with a particularly harsh send-up of President Obama last night. The critique focused on failed promises, as a checklist repeatedly appeared to the right of the screen that had “NOT DONE” checked off next to the following categories: global warming, immigration reform, gays in the military, limits on executive powers, torture prosecutions, closing Gitmo, withdrawing from Iraq, improving the status of the fight in Afghanistan, health care reform, etc. While the president is three and a half months shy of his one year mark, we get the point. The sketch made clear that this is a critique of Obama from the left: “I just don’t see why the right is so riled up, I mean how do you think the left feels. They’re the ones who should be mad.” And the writers pointed out that with a super majority in the Senate, getting his agenda through shouldn’t be a particularly difficult undertaking. During “Saturday Night Live’s” Weekend Update, Madonna and Angelina Jolie sparred in a baby-off. Madonna was just denied a second child from Malawi while Jolie has adopted kids from Cambodia, Vietnam and Ethiopia. Moments later Jolie, played by Amy Elliot, interrupts and challenges Madonna over who has babies from more exotic locales. 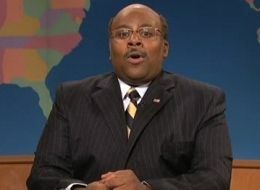 “Saturday Night Live” covered the Michael Steele v. Rush Limbaugh story this week by having Steele (Keenan Thompson) stop by Weekend Update to talk with Seth Meyers. He turned around to reveal the electric node in his head that delivered a shock every time the GOP leader said something not Rush approved. Kudos to Thompson for playing electrocuted so well. 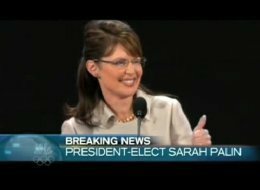 Sadly the Weekend Update skit with surprise appearances by Justin Timberlake and Jessica Biel NBC has not [been] put online. Alec Baldwin hosted SNL this week with musical guest The Jonas Brothers, who also joined Baldwin for a skit and starred in the Digital Short. The show opening was a deluded Republican strategy session, seen here. During his monologue, Baldwin took a moment for a message. He then called on fellow “30 Rock” cast member Kenneth the Page player Jack McBrayer, sitting in the audience, who proved to be more popular than Baldwin. After a contentious week in Washington reworking the massive stimulus bill, Democratic Congressional leaders Nancy Pelosi and Harry Reid didn’t get along very well during a mock press conference on Saturday Night Live. Obama’s push for a new era of bipartisanship isn’t all its cracked up to be, Pelosi said during the Feb. 7 broadcast. “For 8 years they didn’t seem to care much about reaching across the aisle, but now it’s ‘Boo hoo, what about us.’ Give me a break…. “After they treated the Democrats like sewer rats for 8 years, we were worried that bipartisanship didn’t matter to them,” Pelosi said sarcastically.